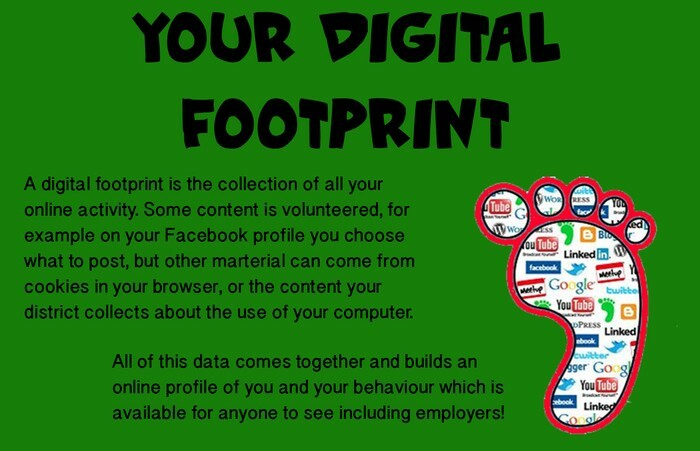 Trail of data you create while using the internet that includes websites you search emails you send and information you submit to online services. 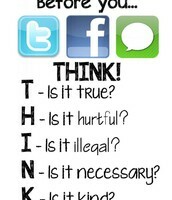 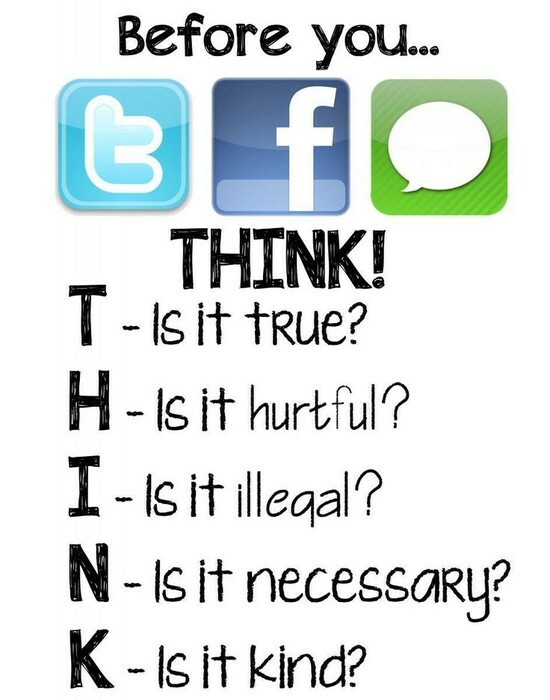 These things you do on the internet or just paying with a card at a store can be traced and that's why you need to be carefull with what you search or post or even say online. 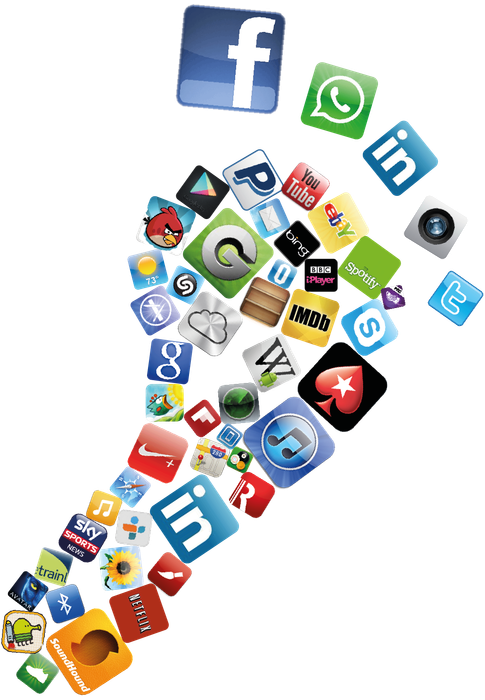 Anything you down load on the app store is traced in your footprint. 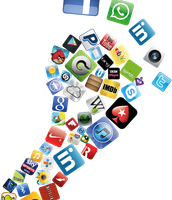 your footprint is including all things cards can be traced and your text and search history and apps you down load are as well.